Talk about a blog hiatus! It's been awhile since my last post. Unfortunately, I do not have a great excuse for my lack of posting, rather just letting all the things in my life that keep me busy take priority. Now as I look at the calendar and realize we are already half way through the month of July, I am shocked that the summer has gone by so quickly and that school supplies are already lining the store aisles. I will admit that I always get a bit excited when I see school supplies being put out. For most, the sight of pencils and backpacks is enough to make you cringe, but for me, those sights signal the best time of year! For me, new school supplies meant another school year, which I was always excited for! A shameless admittance...despite the fact that I have been out of school for too many years to count, I still stock up on a few supplies in August. I can't help myself!! Aside from Christmas, it is my most favorite time of the year! Ok, now I have to redeem myself after that nerdy confession. Sadly, I am not going back to school when fall arrives, but I do have something else to get excited for!! Marathon season! That's right! Come September there will be full and half marathons happening every weekend around the country. I can name at least a dozen that are scheduled in the surrounding DC area. I couldn't be more excited! While I only plan to run a couple of half marathons and the full Marine Corp Marathon, the thought of race day adrenaline gives me the goosebumps! I am already laying out my training plans for the full marathon (on on this to come!) and searching through half marathon courses to pick which ones I want to run. I have some pretty ambitious goals for the full and half marathon, not to mention a 10k trail goal that I still need to meet, so I have to get my head back in the training mode. One goal that I did not set for myself this year, but is a long term goal of mine is to complete a sprint distance triathlon. A sprint triathlon is .47 mile swim, 12.4 mile bike, and 6.2 mile run. Doesn't sound too terrible for someone that has run a marathon, right? Well, the part that has me a bit on edge is the swim. .47 miles may not sound like much, but for someone whose best swimming stroke includes the doggy paddle, it is a BIG deal! Yup, I'll put it out there. I am not a swimmer! I took swim lessons every summer at the YMCA growing up and did what I needed to do to get that certificate of completion, but somehow, I sneaked away from each class without any water confidence or real skills. While I can keep afloat and tread water all day, I have no idea how to do the proper strokes to get me from one end of the pool to the next. That coupled with a fear of deep waters do not make me the ideal candidate for a triathlon. So here I am, an adult that wants to do a triathlon but doesn't know how to swim! Does this sound familiar? Do you know someone that wants to bike a century ride but doesn't own a road bike? So what am I going to do about it? I really do want to complete a triathlon. It might not happen in the next few months, but it will happen eventually and I can't let a little thing like the fear of water get in my way. 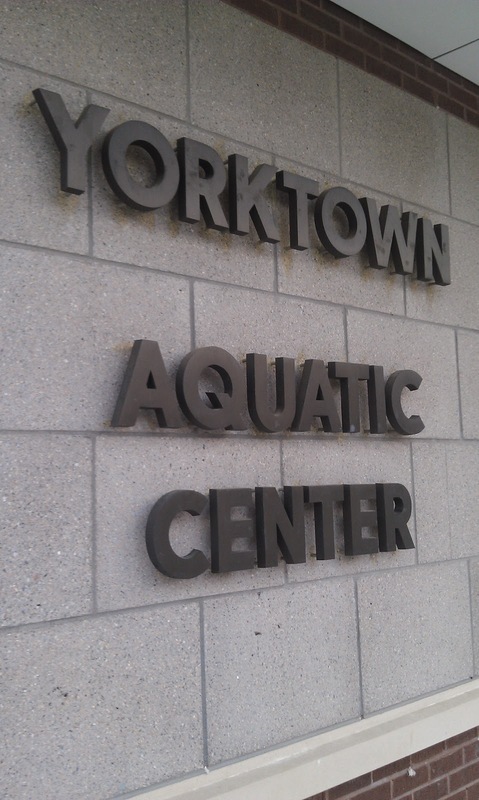 So I enrolled myself in adult swimming lessons! 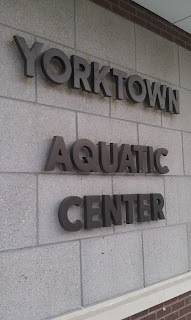 Every Monday night I join about 5 other adults that are trying to become better swimmers. We are a diverse mix of folks. Some not even able to tread water, some not ready to get their head wet, and others trying to learn how to swim better for fitness and competition. Last week was my first lesson and I will admit, I was really nervous, but after a few minutes in the water, I felt more confident in my ability to learn this new skill. 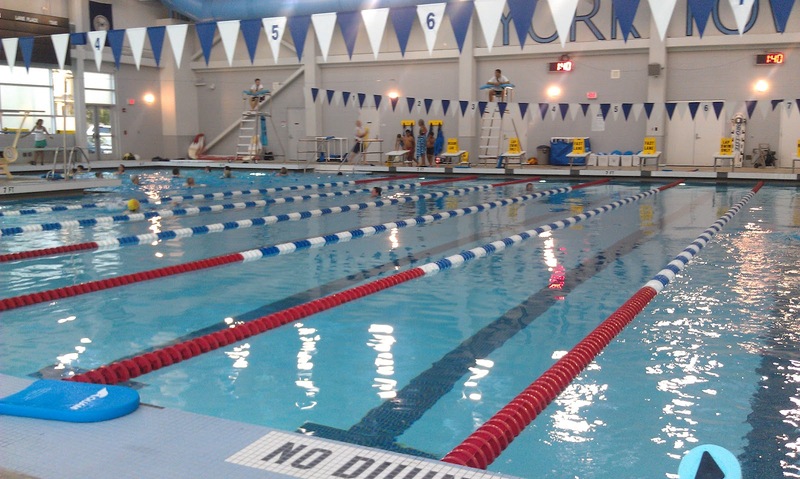 Learning to swim as an adult is not easy. If you have ever watched a child swim, they are fearless and just jump in head first. Adults tend to over think things and let fear consume their ability. So much of my problem is my thinking and worrying. So I hoping these lessons will give me more confidence in the water, which will lead to more time in the pool to get ready to complete a triathlon! I'll keep you posted on how things go!